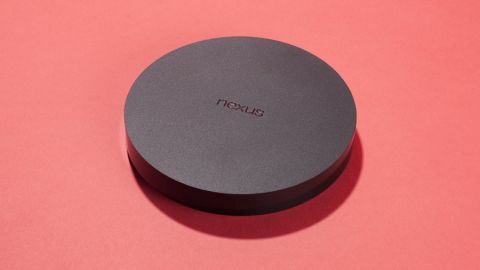 The Nexus Player has a sleek, low-key style and good, quality content. It's too bad that there's just not enough of it. They say lightning can't strike twice. That two products from the same family, one right after the other, can't both be fantastic, must-own devices. Unfortunately, when it comes to the $99 Nexus Player - an Asus-made follow-up to last year's fantastic $35/£30 (about AU$39) Chromecast - they were right. Lightning missed its mark. But if you had your heart set on the $99 puck-shaped set-top box, don't jump ship yet. There's a storm a'brewing. The Nexus Player, the first device to run Android TV, has all the right ideas: an incredibly intuitive interface, great screen-sharing capabilities, 6GB of memory, a microphone-enabled remote and even sports an optional gaming controller. But for everything the system does right, something else is slightly amiss. At its core, the device wants to be your go-to streaming video and low-end gaming console. And it wants to do this for under $100 - right around the cost of a Roku 3 or Amazon Fire TV. It'll harness technology from Google to give you recommendations by pulling from your recently watched YouTube videos, preferences on Netflix and your Hulu watching habits. Press the voice search button on the remote, ask anything related to film or television, and it'll pull up videos related to your query. Ask "who was in Wanted?" and the Nexus Player will spit out names like Angelina Jolie, James McAvoy and Morgan Freeman. Click their names and you'll see every major movie the actors have starred in. Click the icon for the movie and you'll get a list of applications where the movie is available; Netflix, Hulu Plus, and the Google Play Store all commonly pop-up in this feature. Now, you may have just thought to yourself "where's Amazon Instant Video? Where's HBO Go?" Bad news: they're not here. And while maybe they'll show up down the road (HBO Go more likely than Amazon), I wouldn't hold my breath they'll arrive soon. There are, as of October 31, 2014, only 16 video and seven music streaming apps available on the system. The most notable of which are the ones I've already mentioned - Hulu and Netflix. Beyond that there are some second-tier streaming apps like Food Network, PBS Kids, Bloomberg, Pandora and DailyMotion, but the rest, mostly, are crap. I've never known anyone to ooh and ah over Crackle, nor someone throwing their money at the monitor when they see Pluto.tv is coming to the set-top box they've been eying. Don't let me discourage you; the Nexus Player is off to a great start. It just has a lot of catching up to do. Some apps you don't see on the Google storefront, however, can be Google Cast (Casted?) from your Android device or Google's Chrome browser on a PC, Mac or Chrome OS computer. Say you want to show off a photo on Flickr. You don't need a dedicated app, just go to the website on a laptop or mobile device running Chrome, press the Google Cast button and it should instantly pop up on the big screen. But streaming apps are only one-half of the coin. The other half is gaming. Throw open the Google Play Store and you'll find three categories of curated games: TV Remote Games, Casual for Gamepad and Action for Gamepad. You won't find the Google Play Store's extensive library of games here, but because connecting your phone isn't a perfect process yet maybe that's for the best. The gamepad Google is referring to here is the $40 Asus Bluetooth controller that's sold separately from the Nexus Player - but more on that later. Each category has about 10 to 15 games that range in difficulty and price, from Free to $15.99. The TV Remote Games are what you'd find on your smartphone. They're ephemeral experiences that more often than not ask you to spend virtual currency to get ahead. Most require the circular pad on the remote to move left, right, up and down, and the button in the center to control the action. There are a few gems in this category like Sky Force 2014 TV and Going Going Gone: HR Classic, but it's all stuff we've seen before on iOS 8 and Android. The two other categories, Casual and Action, are the Player's bread and butter. You'll find everything from old-school classics like Pac-Man, Final Fantasy III and King of Fighters to some newer titles like The Walking Dead Seasons 1 and 2, SoulCalibur, Modern Combat 4 and The Wolf Among Us. I don't foresee the Nexus Player overtaking console mainstays like the PS4 and Xbox One, but it has enough power to run Xbox 360-quality titles on its hardware without severe slowdown.